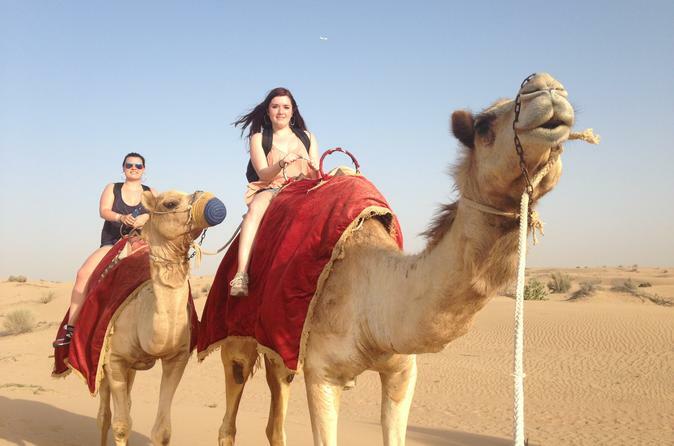 Escape to the desert for an overnight safari in Dubai. Enjoy a wide variety of activities, like dune bashing, multiple sunset photo opportunities in the dunes, entertainment featuring tanoura and belly dancing, henna painting and a 30-minute camel ride. Enjoy a barbecue buffet with unlimited soft drinks plus breakfast the following morning. Sleep under the stars in a tent and wake to the fresh, morning desert air — an experience unlike any other. Welcome drinks and transportation, including a Dubai hotel pickup and drop-off, are included.